by my neighbor aunt and I simply clicked the pictures and noted the measurements. Being a Punjabi, she prepares all the authentic punjabi dishes at home. I even asked her for Sarson Ka Saag recipe, the most traditional punjabi dish. Channa Masala and many more recipes. Take all the ingredients except ginger powder in a wide plate or tray and spread them and sun dry it for whole day. If its cold outside the keep the plate near the window, where u get sun light for 2 days. Once all the ingredients turned dry and crisp under sunlight blend them to a fine powder, then sift it using strainer. And lastly add ginger powder, mix well and store it in an Air tight container. 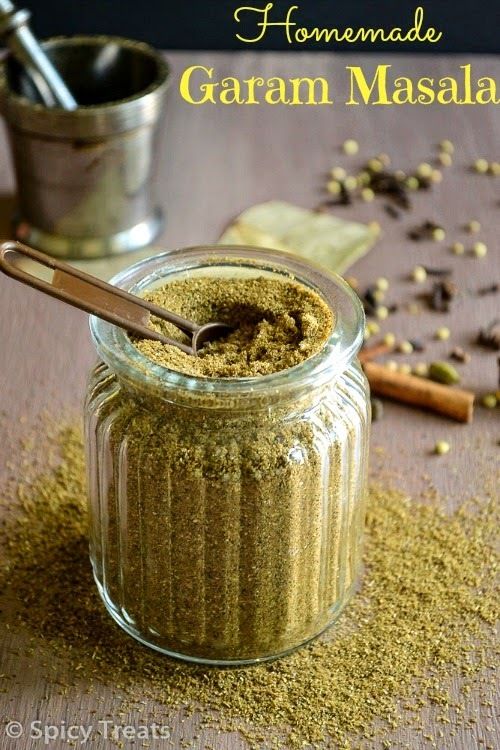 My neighbor Aunt suggested that Garam Masala stays fresh and more flavorful by sun drying than the dry roasting method. If you do not get sunlight then heat a pan, when it hot turn off the switch and roast the ingredients one by one and grind it. Instead of ginger powder you can also use a small piece dry ginger, if so sun dry it along with the other ingredients. 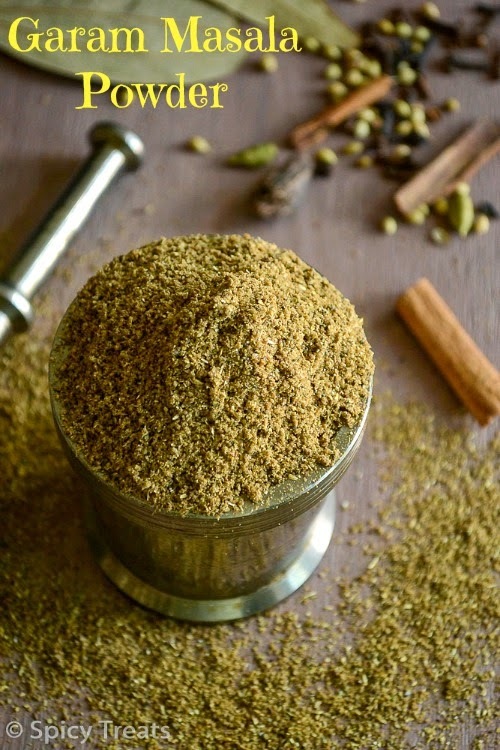 In blender, first grind bay leaf, cinnamon, dry ginger(if using) then add other ingredients and blend it to a fine powder. pictures look so good. 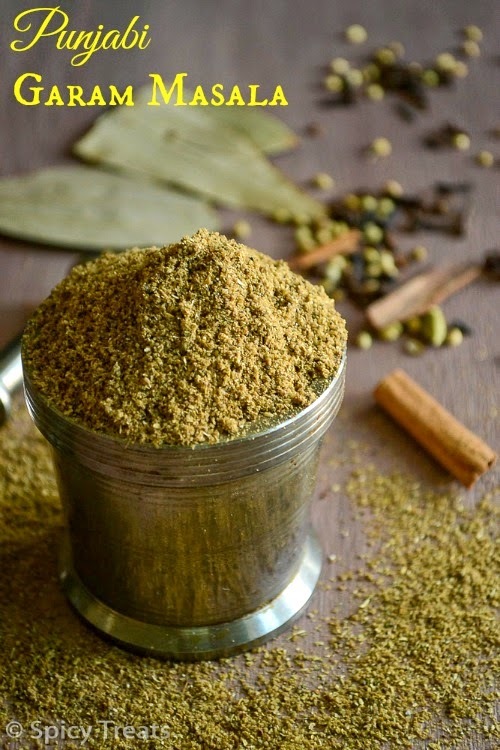 Its so true that home made masalas are so much better than the store bought ones. Bookmarked to try this.. 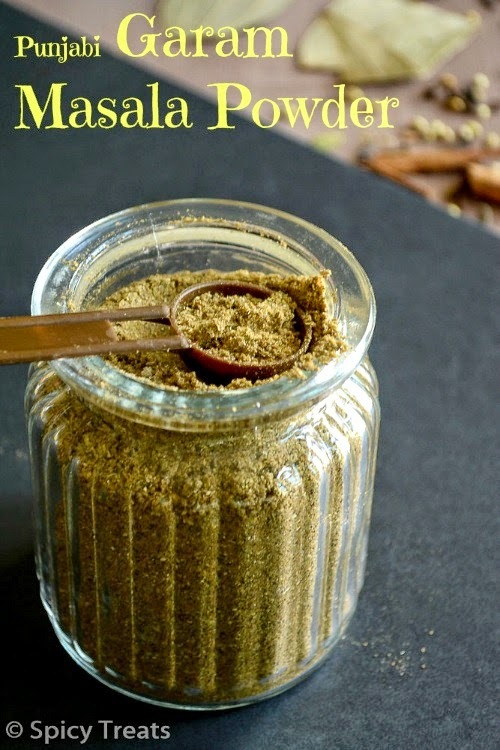 Useful post..
Homemade is the best, always more flavorful..